Cara M. Christ, directorCara M. Christ, M.D., M.S. 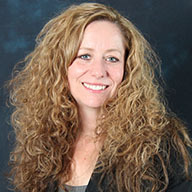 Arizona Department of Health Services Director Cara M. Christ, M.D., M.S., has worked for the agency for more than nine years in multiple positions. 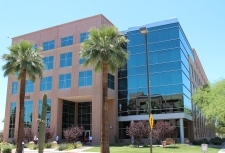 In May 2015 Dr. Christ was appointed as Director by Governor Doug Ducey. Dr. Christ started her ADHS career in 2000 as an Infectious Disease Epidemiologist. She left ADHS in 2001 to attend medical school at the University of Arizona and completed her residency at Banner Good Samaritan Medical Center in Phoenix. Dr. Christ obtained her master’s degree in microbiology with an emphasis in molecular virology and public health. She earned her Doctor of Medicine from the University of Arizona College of Medicine. Dr. Christ returned to ADHS after her residency to serve as the State Tuberculosis Control Officer and Medical Director for the Bureau of Epidemiology and Disease Control between 2008 and 2009. From 2009 to 2012, she was the Bureau Chief for Epidemiology and Disease Control and Public Health Chief Medical Officer. Dr. Christ then served as the Assistant Director for the Division of Public Health Licensing Services from 2012 to 2014. In her previous position before becoming Director, she served as the Deputy Director for the Division of Public Health Services beginning in 2014. Dr. Christ has served as the Chief Medical Officer for ADHS since 2012. Dr. Christ has a strong commitment to the health of the people of Arizona. Among her many accomplishments at ADHS, she collaborated with health partners and stakeholders to develop strategic plans for infectious disease prevention and control including the Governor’s Council on Infectious Disease Preparedness and Response. She was involved in leading statewide efforts during the 2009 H1N1 pandemic, and worked with partners to find solutions to improve childhood vaccination programs. Dr. Christ led the effort to develop and implement 20 Articles of Arizona Administrative Code for Health Care Institutions. Dr. Christ was born in Missouri and moved to Arizona more than 30 years ago. She grew up in the Valley where she still lives with her husband and three kids. She is an avid Disney fan and also holds a “Ducktorate,” from Walt Disney University focused on Disney Style Management.